All Bedford Harriers club running kit through No Limitz and can be ordered directly in store, by phone or online. Harriers Triathlon Kit consists of the Sugoi'Tri tank' style of top and separate shorts plus arm warmers. 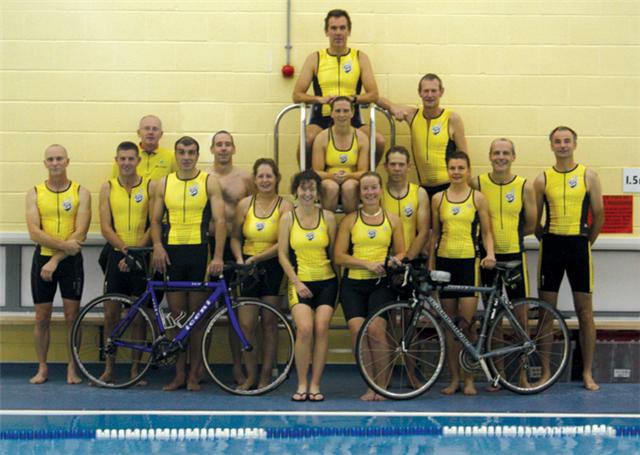 They are the same style as the 'Team Bedford' tops which we have been used successfully in all distances up to Ironman. Although they are best for warm weather training / racing, you can always put a base layer underneath for colder days.